This is not only a very funny read but also a valuable overview of Handel's much loved choral masterpiece for it is crammed with facts. 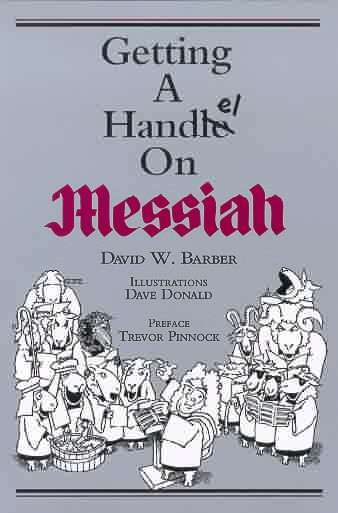 The book covers the life of the composer and the circumstances around the composition of Messiah, the libretto and the music; plus details about the Dublin premiere and subsequent performances. Janson's reply is a classic. "Yes, sir, and so I can," he told the red-faced composer. "But not at first sight!" "About 700 people showed up for the first official performance, which was a bit of a problem, since the concert hall was designed to seat only 600. I imagine things got a little cozy. To make things a little more comfortable for the audience, newspaper advertisements announcing the concert had stated that, in order to make more room, women should wear skirts without hoops and the men should leave their swords at home. It's so much safer that way. There were no reports of any injuries, so either the gentlemen did remember to leave their swords at home or they were all careful about not jabbing anyone. I'm not sure about the ladies and their hooped skirts." Barber also tells us about the not too technically proficient but very emotionally expressive soprano, Susannah Cibber: "...Cibber's delivery was so moving that, as the story goes, at the first performance after she had finished singing "He was despised", Dr Patrick Delany, the chancellor of St. Patrick's Cathedral, stood up from the audience and shouted, "Woman, for this, be all thy sins forgiven." That was awfully decent of him, especially considering that Susannah Cibber had more than a few sins that probably needed forgiving. In fact, her escapades had made her quite the talk of the town." Trevor Pinnock contributes his impressions of the work, declaring his love for the work and remarking on its sheer resilience in the face of so many performance distortions.